北韓差五分鐘？Five Minutes to Midnight for North Korea? 真實西藏 World should know "True Tibet"
It's official: "Taiwan is an island surrounded by water on all sides." Malaysian activist under police probe after LGBT speech at the United Nations - "The police investigation into Numan’s statement merely serves to highlight the harassment, bullying and discrimination faced by LGBT persons in Malaysia." The writer Alan Shadrake is being prosecuted by the Singaporean government for criticizing the justice system. Alan Shadrake, who lives just across Singapore's border in Malaysia, has published a book, Once the Jolly Hangman: Singapore's Justice in the Dock in which he explains that the death penalty applies primarily to "the poor and disenfranchised." After having been arrested in July 2010 and his room turned upside down he was imprisoned for two days and was then released due to widespread media coverage and world-wide pressure, including Amnesty International and Reporters without Borders. His case was heard on the 18-20th of October. He was declared guilty on November 2. The 76-year-old writer is due to be sentenced on Wednesday, November 10th. 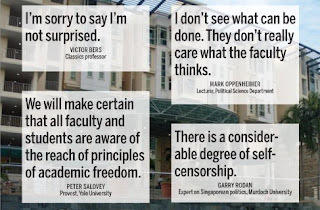 Yale University, which planned a partnership with NUS (the National University of Singapore) has declared that their primary hesitation is the low level of academic freedom. Alan Shadrake's arrest has not led Yale's authorities to cancel their plans. The UK Guardian wrote that Singapore's "rise from colonial backwater to economic powerhouse (...) co-exist with an unapologetic contempt for freedoms taken for granted in other developed Asian economies." The list of these Asian countries where freedom is taken from granted would probably fit on a post-it note. Someone better stick it on Yale's bulletin board. 利比亞的例子: 對北韓合適嗎？ UN Resolution on Libya: A precedent for North Korea? 台灣敢廢除死刑嗎？Will Taiwan dare to abolish the Death Penalty? Xinhua: "World should know a true Tibet"
台灣國旗在釣魚台群島 | Taiwan's flag on Diaoyutai Islands? 我爸是李剛! My Father is Li Gang!